That’s what people say when they’re about to take your picture. I understand the desire to have smiling faces in photos, but I think saying’s “cheese” creates people with phony smiles. The “cheesy smile” doesn’t give anyone to show a smiling expression, but an expression of one who’s just had a Novocain shot. A photographer with a great touch for getting real smiles was working at a doctor’s wedding we attended. He told guests to say, “malpractice,” causing everyone to laugh. The pictures showed everyone having a wonderful time. When I’m facing the camera I think of something funny I’ve experienced; a favorite memory that will elicit a smile. Which brings me to the subject of coffee. Most people who drink it like fresh coffee. The fresher the better. Freshly ground coffee beans are best of all. The current popularity of the one cup at a time coffee makers attest to this desirability of freshly brewed coffee. When my future husband and I were dating I spent the weekend at his family’s house one weekend, and my future in-laws invited my parents to lunch. The in-law family included his parents, a sister, a brother and an elderly grandmother. Grandma, I had discovered in previous visits, had her own way of managing coffee. She believed it was a crime to throw food away. So she recycled the family’s coffee. She poured the old brew into a pot, added milk and warmed it up. Then she poured it into individual cups and served it to unsuspecting guests. My father was a coffee purist and one of the “fresher is better” believers. I had never thought to mention grandma’s coffee preparation methods to him. Dessert time soon arrived. When offered the choices of coffee or tea my father said,”I’d like some coffee, please.” Grandma went into the kitchen to prepare it. Will I ever forget the look on my father’s face when he took a long sip of Grandma’s concoction? The taste was so foreign: so different from what he expected that he almost spit the mouthful of recycled coffee out all over the carefully laid table. One look at his shock and disbelief was one of the funniest sights I ever saw. Its memory remains in my mind, and makes me laugh every time I remember that day. What a fun story! Gotta love those old family classics! Thanks, Inger; I’ll bet you have some classic ones too. You are so right about cheese not giving a good result – at a recent photoshoot for the newspaper, my granddaughter and other prizewinners for swimming seem to be gritting their teeth at the ordeal! It would have been a delicious irony if he’d loved that coffee! My husband loves that coffee; there must be something wonderful about reliving memories of grandma. Try cream and watch your smile! Thank you, Seyi. That was fun to remember. Love it! Being the gentleman I bet he was, he gagged it down. Candid photos are the best, at least for me. I can’t ‘freeze’ that way. Of course, now I can imagine the look on your father’s face and I’ll be sure to smile as well. Thanks! Your poor Dad. Remembering his reaction would make me smile, too. Thanks for the giggle, Ronnie. I am so happy to relive those funny days. My! You got me smiling with this one. I appreciate a picture even more when the it’s full of faces with genuine smiles. But that depends on the situation. My father says that some of his best photos were taken (at ceremonies) when he wasn’t aware. Like you, I also think about a funny moment whenever I’m posing for a photo. Mine goes to one of my favorite wrestling superstars, who often says “what happened” after committing an offence the referee is unaware of. Pls I’ll send you an email soon. 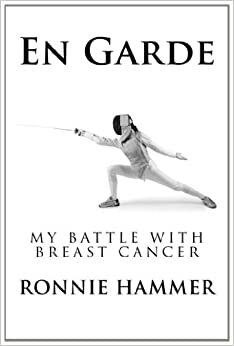 I’m happy I was able to read En Garde. Great, Uzo; I will look forward to your reactions and comments. Your dad is right about candid shots; at least nobody is putting on phony smiling faces. She was so adorable that who could fault her coffee making techniques? I like the scene in ‘no country for old men’ when Tommy Lee Jones character is visiting a retired former sherif and walks over to the coffee pot and asks the fellow if coffee was made this week. Some people drink coffee no matter how old. I don’t. We grind our own shade grown, bird friendly, imported from Italy coffee beans. Not that we are picky or anything like that. I’ll bet my father would have loved your coffee! I like Italian beans, too. I grind Illy beans. I like the “malpractice” line, Ronnie. I can see how that would produce more genuine smiles. It was so unexpected that every one forgot themselves and let the natural smile take over their faces! That is hilarious, and one I never though of. Maybe it’s not too late! Perhaps you can make a great memory now. What do you do to get a natural expression in a photograph? I don’t enjoy having my picture taken either. But afterward, when we’re looking at the photos I feel badly if I am not in the pictures. What a sweet way to remember her. My mother doesn’t throw out old coffee either– it is either reheated, or used to make iced coffee, or used in pot roast, etc. Thankfully she does discard the grinds though I wouldn’t put if past her to try to find a recipe for them too. I use the grounds to toss on my hydrangea plants. They’re acid and cause the blooms to be blue. Although Miracid would do the trick just as well I like the idea of using an ingredient that would other wise be discarded. I hope it wasn’t a cheesy smile. My mom used to make coffee by putting water in a saucepan, adding grounds (probably Maxwell House9, boiling it, then straining it into a cup. And your blog brought back that memory. Thanks, Ronnie. Hope you’re smiling today. So let me see if I got this right….., if I wanted you to smile instead of “cheese”, I should ask you to say “coffee” ??? 🙂 Ha ! I smiled for a photo once – maybe twice. “Goofy Hyenas;” what an apt description. Great story, funny and memorable. Coffee, tea, cheese, malpractice, Grandma, …. No matter what the choices, I truly enjoyed this post. Thanks, Ronnie! Thank you so much. I appreciate your comment, Ann.